You may not have heard of him, but you’ve almost definitely bought products that he is responsible for having developed, or tried to copy one of his signature looks. 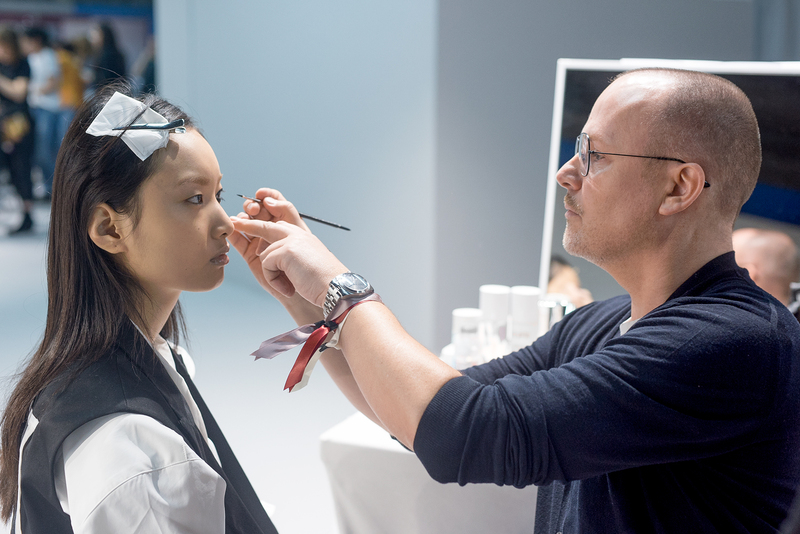 Since 2014, Peter Philips has been the beauty mastermind helming Dior beauty. The Belgian makeup artist has long been bringing fashion design to life with his striking creations, as well as transforming storied houses’ makeup lines into beauty must-haves. 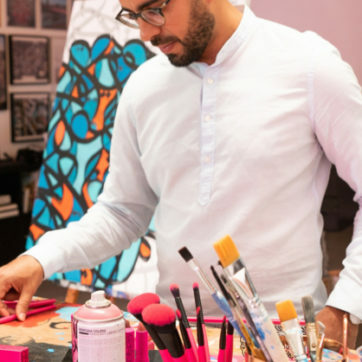 As Philips and his team prepared for Dior’s Dubai couture show, we sat down to talk about his work with artistic director Maria Grazia Chiuri. What are the key things you check for before sending a model out? I want to make sure the makeup is balanced out. The skin is good. And to make sure you can see it from a distance because it’s catwalk at the end of the day. Also, every girl has a different eye, so I need to check that the liner is similar for all the girls. If I had to pick only three Dior products to take with me on a desert Island what would you advise? Some sun protection of course. A glow palette, a lip palette and a lip maximizer. I imagine it’s a tropical Island, you would be sun kissed so you don’t need foundation, your skin is going to look amazing. 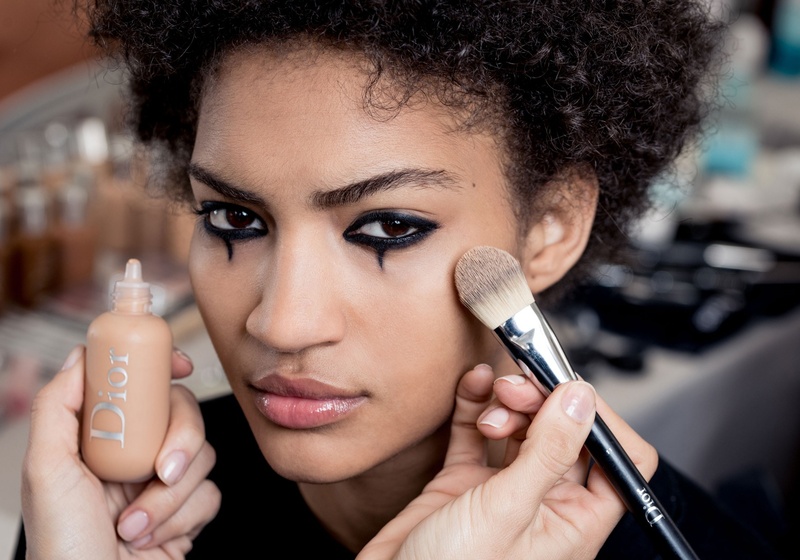 What Dior Backstage product can’t you live without? Probably foundation, because creating the illusion of perfect skin is key for every look but also the glow palette and the contour palette. How do you go about developing a catwalk look? In depends on the designer. With Maria Grazia for example, it’s always pretty clear, she does amazing research, in this case it was a circus theme so it was pretty straight forward and I know she’s not a lipstick girl. Clean palette. She doesn’t like a full on make-up. Those are already good guidelines as far as I am concerned. Which current beauty trends do you not subscribe to? It depends on how you use them and how you wear them. I could say that shiny make up is not good, but then if you apply it with moderation and make sure your shine becomes a glow, it can be beautiful. There’s a lot of gimmick trends, they are not really trends, those were created by social media to entertain us. But it allows you to show the fun you’re having with makeup. At the end of the day, it’s all about how you translate the trend into your own look and how you wear it. What trend would you love to bring back? I think these days, makeup is not about trends anymore. You can be super contemporary and in sync with what’s happening with a matte lip or with a glossy lip, whether you wear fat eyebrows or no eyebrows at all. I think it’s because the trend is makeup itself. It’s never been so popular. I am really lucky to be working in this business and experimenting and having fun. I make the products so that in a way, I am the one who makes the crown and they are the ones to wear it.